This blog describes how to use Web Services Description Language files (in short: WSDLs) in the SOAP adapter. It also explains how to upload WSDLs with external references in the resource view and use them in the SOAP adapter. You can configure the SOAP adapters with or without WSDLs. A WSDL can be used to configure the exchange pattern and web service security policies. You can also use WSDLs with external references, like for example XSDs. WSDL Download does not support External References: In the SOAP Sender channel WSDLs with external references can be used, but the WSDL download cannot parse them. This means you can use such WSDLs for runtime execution but if you want to download the WSDL with the generated endpoint to provide it to the service consumer you need to resolve the references in the WSDL and add the schema definition from XSD directly into the WSDL. Do not use WSDLs with Blanks: It is not recommended to use WSDL names or directories with blanks. This may lead to issues in the runtime if the WSDL has external references. WSDLs with External References are now also allowed in Message Mapping: See help chapter Creating Message Mapping. There are different options how to upload the WSDL and XSD files and how to configure them in the different SOAP channels. This blog first describes the general upload and configuration options in the SOAP sender and receiver channels and afterwards provides additional details about special restrictions in the different SOAP adapters. The Select WSDL Resource dialog opens. Select Upload from File System at the very bottom of the dialog to open the file browser. Select the WSDL from your local file system and upload it. If multiple operations are available in the WSDL you need to select the one you want to use in the channel in the WSDL selection dialog. Note that when configuring a SOAP receiver channel you need to have at least one service defined in the WSDL. For the SOAP sender this is not necessary because there the runtime WSDL is generated by Cloud Integration. More details about specific behavior of SOAP sender and receiver below. During the upload the WSDL is parsed; the fields URL to WSDL, Service, Endpoint and Operation Name are filled automatically based on the content of the WSDL. 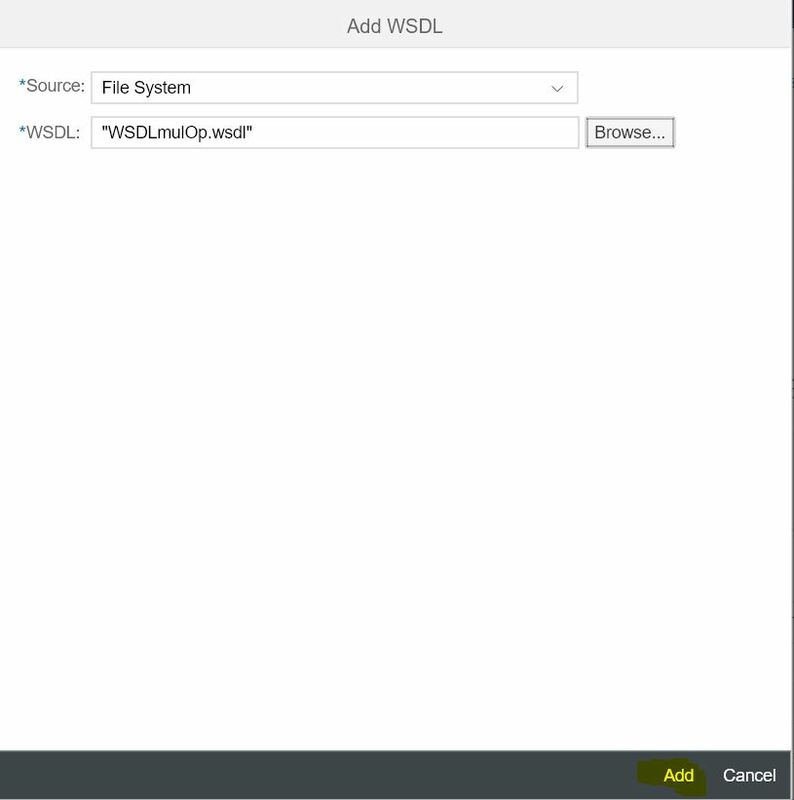 The upload imports the WSDL into the wsdl folder of the Schemas section in the Resources view. Verify this by selecting the Resources tab in the integration flow and expanding the Schemas section. You can find the uploaded WSDL there. In the tooltip the complete Access path is shown. You notice that the WSDL is present in the wsdl folder. The Access path is the parameter that is to be specified in the URL to WSDL field in the SOAP adapter (which is set automatically when selecting the WSDL from the file system). You can use it with or without / at the beginning, both is accepted. If you want to upload the WSDL again, for example after you have done some changes, you can use the same upload option in the SOAP channel. The WSDL is then overwritten during upload. The second option to upload WSDL files is to use the Resources view. In this view you can upload single WSDL files and archives having WSDL files with external references together with the referenced files. Using the Resources view, you can upload single WSDL files. To upload a WSDL, open the integration flow in edit mode and select the Resources view. In the right upper corner select Add –> Schema –> WSDL. The Add WSDL dialog opens. To upload the WSDL from your local file system select File System as Source and browse for the WSDL. Select Add at the bottom to start the upload. A success message indicates that the WSDL was uploaded successfully. The uploaded WSDL appears under the Schemas section in the Resources view showing the Access path in the tooltip. Besides uploading single WSDL files you can also upload archives In the Resources view – for example, when you like to upload WSDL files together with all external resources referenced in the WSDL. Because all files have to be uploaded in an archive, you first need to wrap (zip) all WSDL and XSD files to an archive. With the 28-October release of Cloud Integration, also the SOAP receiver is supporting WSDL and XSD files in subfolders (see option 2). In this example, the included schema “empleado.xsd” is itself importing further schemas that also reside in the xsd subfolder. Therefore, those import statements also have to be relative to the importing schema. As all XSDs are located in the same folder the xsd folder must not be mentioned in the import statements in the “empleado.xsd”. 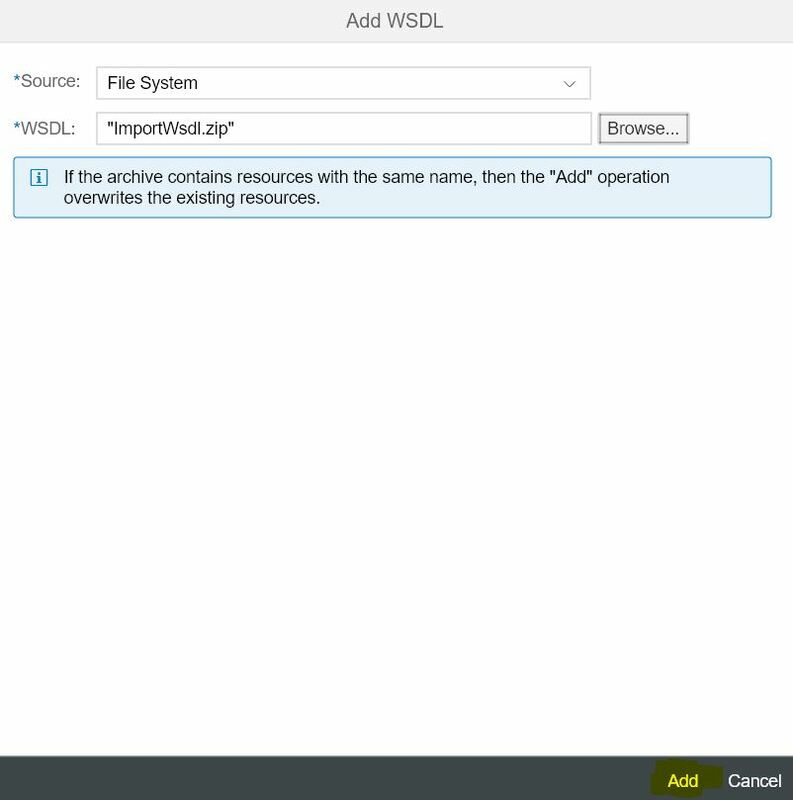 To upload an archive containing the WSDL file and the referenced files, for example XSDs, open the integration flow in edit mode and select the Resources view. In the right upper corner select Add –> Schema –> WSDL. The Add WSDL dialog opens. To upload the archive from your local file system, select File System as Source and browse for the archive file. Select Add at the bottom to start the upload. A success message indicates that the archive was uploaded successfully. 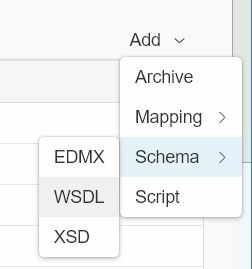 All WSDL and XSD files are uploaded to the Schema section into the wsdl folder in the Resources view because the upload was triggered using the Add –> Schema –> WSDL action. When checking the Access path shown in the tooltip, you notice that the folders from the archive (in this case the xsd folder) are created below the wsdl folder. After you have uploaded the WSDL with or without referenced files in the Resources view you can use it in the SOAP channel. The Select WSDL Resource dialog opens. From the list of WSDLs contained in the integration flow select the one required for the channel. If multiple operations are available in the WSDL you need to select the one you want to use in the channel in a second selection screen. Note that in the SOAP receiver you need to have at least one service defined in the WSDL. In the SOAP sender this is not necessary because there the runtime WSDL is generated by Cloud Integration. More details about the SOAP sender and receiver below. During the selection of the WSDL the WSDL is parsed; the fields URL to WSDL, Service, Endpoint and Operation Name are filled automatically from the WSDL. With the 25-November-2018 updates of Cloud Integration, the WSDL configured in the SOAP channel can also reside in a subfolder of the WSDL folder. The different SOAP adapters have slightly different requirements for the used WSDLs. This is described in this section. The SOAP 1.x receiver adapter requires a service and port defined in the WSDL, because this is the service definition that is used at runtime. 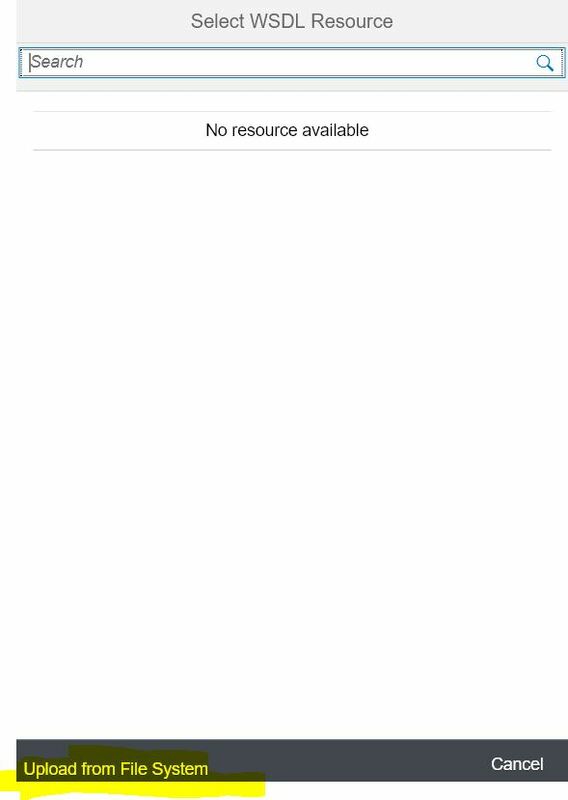 If you use the WSDL selection dialog for a WSDL without service and port, the port selection dialog shows the message ‘No resource available’. To solve this problem, define a service and port in the WSDL. Usually the WSDL is provided by the service backend and already contains this information, but it can also be added manually in the WSDL. As mentioned above, WSDL and referenced XSD files have to be located in the wsdl folder directly, no subfolders are supported before the 28-October release. With the 28-October release of Cloud Integration, also the SOAP receiver is supporting WSDL and XSD files in subfolders. With the 25-November-2018 update, the WSDL defined in the SOAP channel can either reside directly in the wsdl folder or in a subfolder, before the update, the WSDL had to reside in the wsdl folder directly. Important Remark: No WSRM policies allowed! The SOAP 1.x adapter does not support WSRM. Make sure the used WSDL does not contain such policies or use the adapter without WSDL. With the update on 6th of January a check is introduced raising an error in case WSRM is defined in the WSDL. The SOAP 1.x sender adapter does not need a service and port defined in the WSDL, because in this case Cloud Integration is the service provider and generates its own runtime WSDL based on the content of the WSDL (if configured) and the definitions in the SOAP sender channel. But if service and port are defined in the WSDL, they are used. During deployment of the integration flow the runtime WSDL is generated based on the content of the configured WSDL and the settings configured in the channel. Policies, that are contained in the configured WSDL are removed and substituted with Cloud Integration policies. Important Remark: No WSRM supported! The SOAP 1.x adapter does not support WSRM. If the used WSDL contains WSRM policies they are removed automatically during runtime WSDL generation. 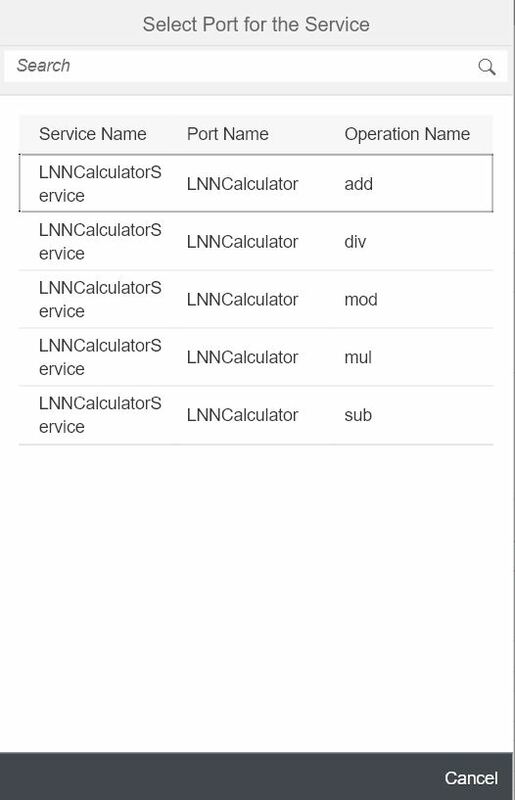 This WSDL can be downloaded from the Manage Integration Content monitor in the Monitoring cockpit. In the Manage Integration Content monitor select the integration flow to get its details. In the Endpoints section you find the option to download the WSDL. This is the generated runtime WSDL which can be provided to the consumer of the service. It contains the service description including the URL under which the integration flow can be called. Note! The WSDL download cannot parse WSDLs with external references. This means you can use WSDLs with external referenced for runtime execution but if you want to download the WSDL with the generated endpoint to provide it to the service consumer you need to resolve the references in the WSDL and add the schema definition from XSD directly into the WSDL. Or the consumer has to be configured without the generated WSDL. Like the SOAP 1.x receiver adapter the SOAP SAP RM receiver adapter requires a service and port defined in the WSDL, because this is the service definition that is used at runtime. If you use the WSDL selection dialog for a WSDL without service and port the port selection dialog shows the message ‘No resource available’. To solve this problem, define a service and port in the WSDL. Usually the WSDL is provided by the service backend and already contains those information, but it can also be added manually in the WSDL. With the 5th-August-2018 update of Cloud Integration, the WSDL selection screen in the SAP RM receiver adapter only shows the one-way operations. This means, if only request-reply operations are defined in the WSDL the port selection screen provides an empty list. Before the 5th-August-2018 update, also the request-reply operations were shown and taken over, but upon saving the above error is given. With the 28-October release of Cloud Integration, also the SAP RM receiver is supporting WSDL and XSD files in subfolders. With the 25-November-2018 update, the WSDL defined in the SAP RM channel can either reside directly in the wsdl folder or in a subfolder, before the update, the WSDL had to reside in the wsdl folder directly. The SAP RM adapter does not support WSRM. If the used WSDL contains WSRM policies an error is raised. You need to remove the WSRM policies from the WSDL or use the adapter without WSDL. The SOAP SAP RM sender adapter does not need a service and port defined in the WSDL, because in this case Cloud Integration is the service provider and generates it’s own runtime WSDL based on the WSDL (if configured) and the definitions in the SAP RM sender channel. But if service and port are defined in the WSDL, they are taken. Note! The WSDL download cannot parse WSDLs with external references. This means you can use WSDLs with external referenced for runtime execution but if you want to download the WSDL with the generated endpoint you need to resolve the references in the WSDL and add the schema definition from XSD directly into the WSDL. Or the consumer has to be configured without the generated WSDL. The SAP RM adapter does not support WSRM. If the used WSDL contains WSRM policies they are removed automatically during runtime WSDL generation. Quick question: My current WSDL has the XSD schema inside of it. I would like to be able to run the XML validator at the start of my iFlow. If I understand that part of your blog correctly, I have to seperate the XSD from the WSDL, add both into a ZIP and upload the ZIP file as WSDL schema. Then I will be able to select my XSD seperatly in the XML Validator. 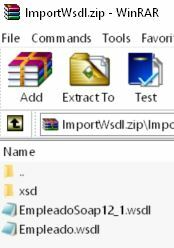 The easiest way would be to keep the WSDL as is (with schema inside the WSDL) for using in the SOAP adapter and upload the extracted XSD as XSD schema into the xsd folder. 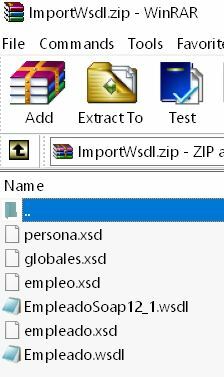 Another option is to create a zip containing WSDL and referenced XSD. Upload this zip using the WSDL upload. This uploads WSDL and XSD into the wsdl folder. The WSDL can then be used in the SOAP adapter. Unfortunately the XSDs in the WSDL folder can currently not be used in the XML Validator. So you would have to upload the extracted XSD separately as XSD schema into xsd folder anyway. Thanks for your reply. Too bad this is not (yet) possible. Your solution is a good workaround, I will just have to keep in mind to update the XSD when I update the schema in WSDL and vice versa. this was exactly the information I required. Thanks a lot! In my case I tried to import WSDL generated from SAP PI Sender Agreement and then in Cloud Integration SOAP channel configuration I configured WSS Security manually. New Cloud provided URL was generated in WSDLs. However I have trouble with the policies. Manually configured policies are not contained in generated WSDLs. Is there something that the imported WSDL should (or should not) fulfill in order to get these Cloud integration policies working? the SOAP sender does not allow the WSS setting from WSDL, only the manual configuration in channel is allowed. And for this configuration the policies are generated into the WSDL. There currently is a small bug in the WSDL download that does return an incorrect WSDL, maybe this is the problem. Please do the following: go to Deployed Artifacts view in monitor and download your deployed integration flow. Open the downloaded archive and check out the WSDL contained in the folder sapruntimewsdl. Please check if the policies are contained there. We are currently fixing the WSDL download issue so that this runtime WSDL is downloaded again. thanks for help, this works. I have found the policies in WSDL located in the folder sapruntimewsdl inside downloaded iFlow.